Cabrera et al. published a paper on Late Cretaceous molluscs from Uruguay. Their abstract reads: “Paleoecological studies of continental gastropods give valuable information about the depositional environment of the fossil assemblages. In South America, these assemblages from the Late Cretaceous/ Paleocene are scarce and poorly studied. Most works focuses on taxonomy, but a paleoecological approach is still missing. We analyzed the assemblages present in the Queguay limestones from Uruguay. The total fossil content consists in freshwater and terrestrial gastropods, characean gyrogonites, ostracods, Neosauropoda eggshells, vegetable remains, insect nests, and pupal chambers. As the precise age and sedimentary environment of the Queguay limestones have been discussed for almost nine decades, a paleoecological study was conducted in order to answer these questions from this point of view. Diversity (Simpson, Shannon-Wiener, equitability) and similarity (Jaccard and Kulczynski) indices were calculated; the analyses showed a close relationship among all locations, and therefore we conclude that there are not differences in fossil content among the localities. Moreover, the data allows to consider them basically of the same environment and age. 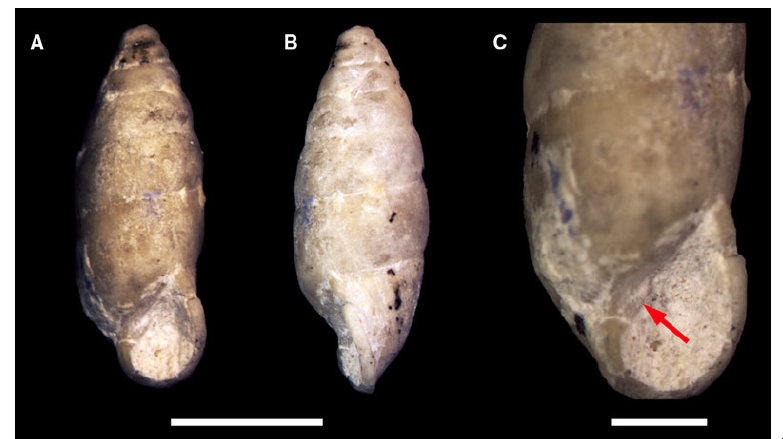 The presence of Neosauropoda eggshells in several outcrops indicate unquestionably a Late Cretaceous age, and establish the oldest record worldwide for Pupillidae, Orthalicoidea and Biomphalaria”. 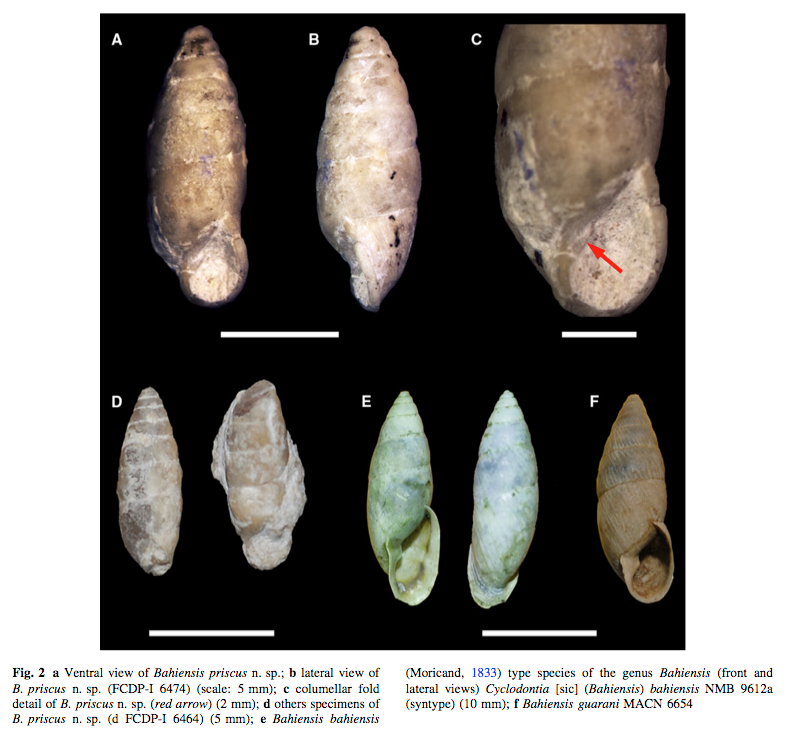 The fact that the fossils mentioned establish the oldest known facies for several genera (Pupoides, Bulimulus, Bahiensis, and Biomphalaria) is an important result of this study. This might be useful data for future use when one needs fossil species for calibrating phylogenetic data. Cabrera, F. et al., 2018. Continental Late Cretaceous gastropod assemblages from Uruguay. Paleoecology, age, and the oldest record for two families and a genus. – Historical Biology, advance online. DOI: 10.1080/08912963.2018.1471478. This entry was posted in Uncategorized and tagged bahiensis, bulimulus, fossils, literature, Planorbidae, Pupillidae, uruguay on December 20, 2018 by bramb. Alex Popovkin, field botanist in Mateiro, Bahia, Brazil, sent me several pictures and asked for an identification. 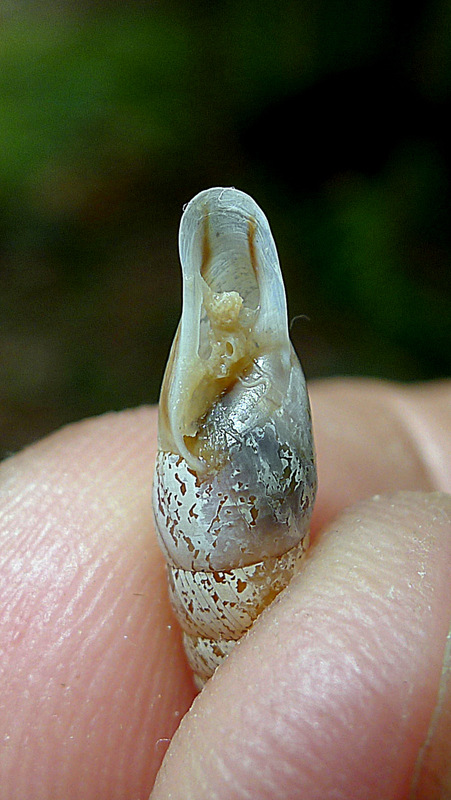 This is undoubtedly an Odontostomidae, of which several closely related genera do occur in this region. Although the variation in this group is not well studied, my best guess for the moment is Bahiensis bahiensis (Moricand, 1833). This entry was posted in Uncategorized and tagged bahiensis, brazil, odontostomidae on April 7, 2014 by bramb. Fossil species are the highlights in Neotropical malacology, as they are rare finds and provide glimpses into the distant past. A new species of Bahiensis (Odontostomidae) has recently been described from the Paleocene in Uruguay (Cabrera & Martínez, 2012). 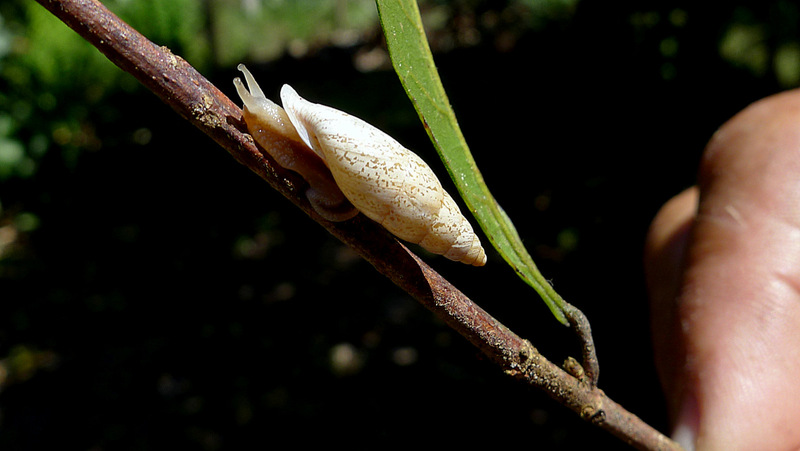 The abstract of their paper reads: The land snail family Odontostomidae has a poor fossil record, mainly from the middle Paleogene and early Neogene of Argentina. In this paper a new species of Odontostomidae from the Paleocene of Uruguay (Queguay Formation) is described. 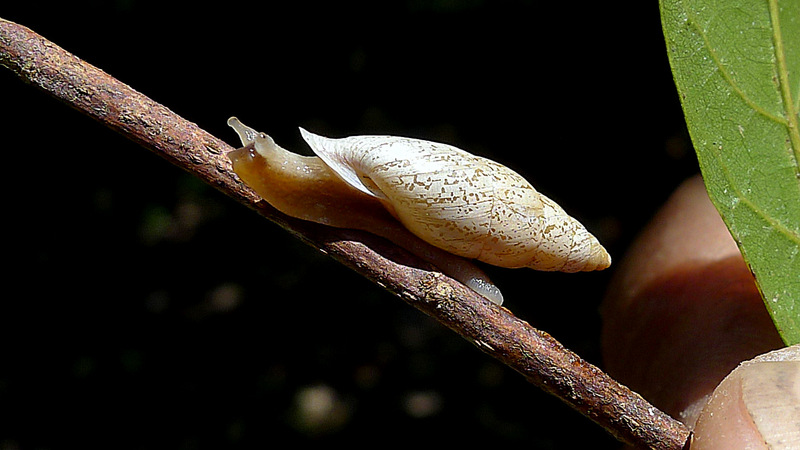 Bahiensis priscus n. sp. represents the first record of the genus Bahiensis Jousseaume 1877, and the oldest record for an Odontostomidae. 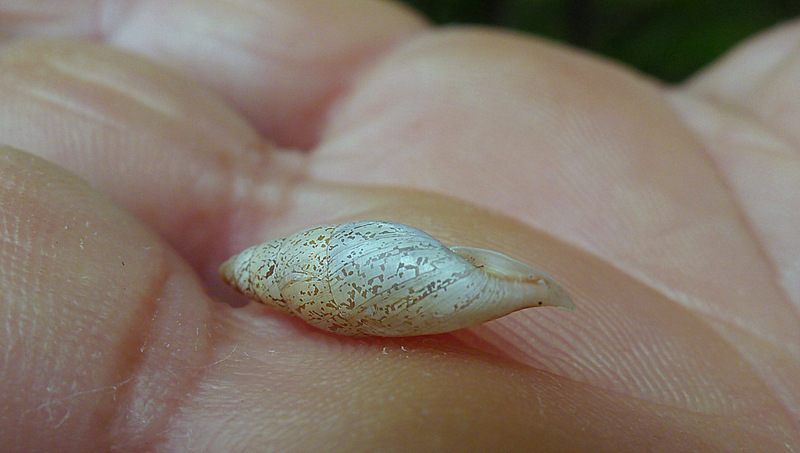 The new species is characterized by a pupoid fusiform shell and an oval aperture with a single axial columellar fold. Present distribution of the genus indicates a tropical–subtropical environment, in high humidity rate areas. Although one extant species – B. guarani (d’Orbigny, 1835) – lives in adjacent areas in Argentina, Paraguay and Brazil, the major diversity of extant species is now found in NE Brazil. Cabrera, F. & Martínez, S., 2012. 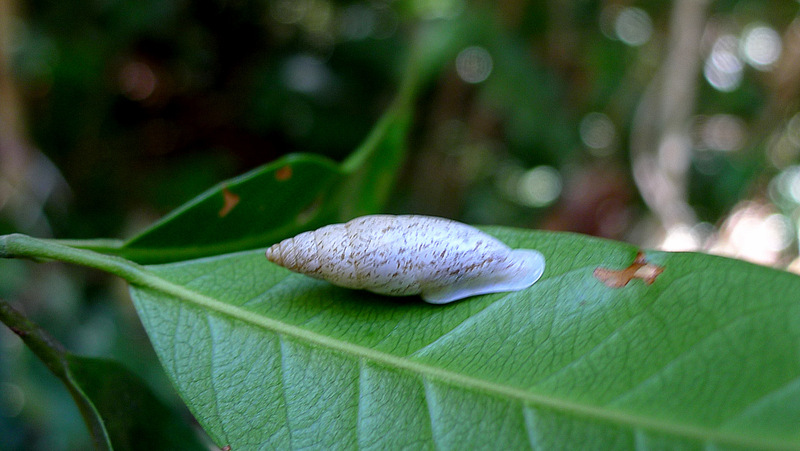 The oldest Odontostomidae (Mollusca: Gastropoda): Bahiensis priscus n.sp. (Paleocene, Uruguay). – Palaontologische Zeitschrift 86: 451-456. This entry was posted in Uncategorized and tagged bahiensis, fossil, literature, odontostomidae, uruguay on March 5, 2013 by bramb. Some journals publish accepted papers immediately online, often without pagination which will only be added when it appears on paper. Today I received such a paper, describing a new Bahiensis species from fossil beds in Uruguay (Cabrera & Martínez, 2012). The land snail family Odontostomidae has a poor fossil record, mainly from the middle Paleogene and early Neogene of Argentina. In this paper a new species of Odontostomidae from the Paleocene of Uruguay (Queguay Formation) is described. Bahiensis priscus n. sp. represents the first record of the genus Bahiensis Jousseaume 1877, and the oldest record for an Odontostomidae. The new species is characterized by a pupoid fusiform shell and an oval aperture with a single axial columellar fold. Present distribution of the genus indicates a tropical–subtropical environment, in high humidity rate areas. 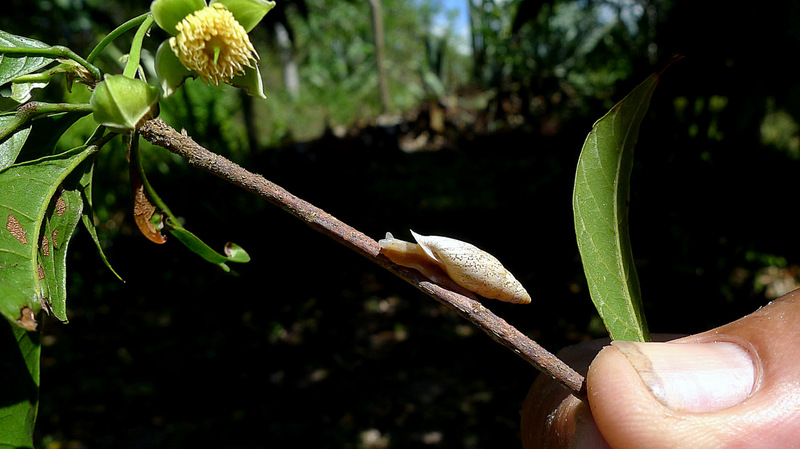 It is nice to see that recently more efforts have been put in research on Neotropical fossil land snails. This will certainly help to get a better understanding about their evolution and their distribution in time and space. This entry was posted in Uncategorized and tagged bahiensis, brazil, fossil, literature on July 17, 2012 by bramb. Today a new paper was published, the second one on Orthalicoid type material in the London museum. Breure, A.S.H. & J.D. Ablett. 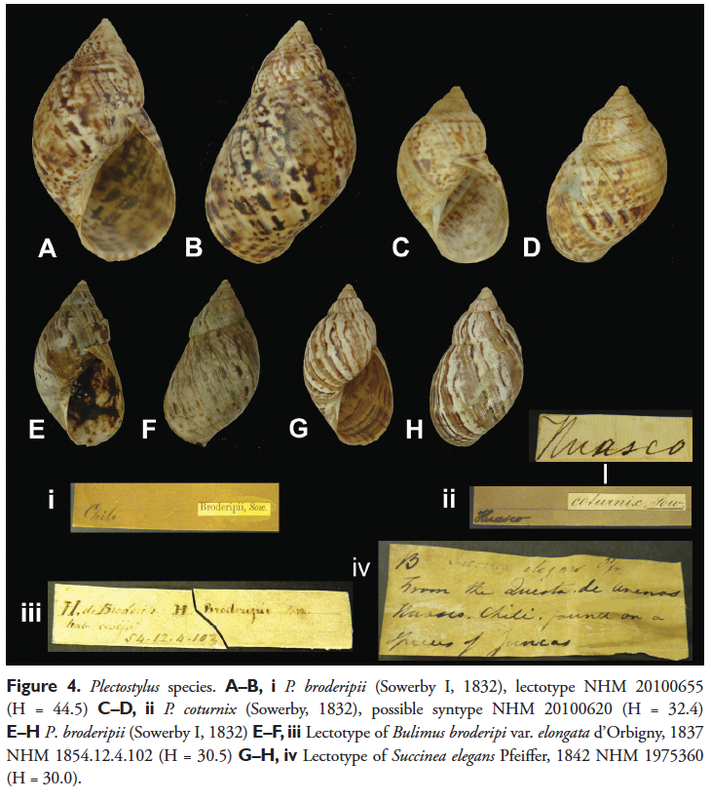 Annotated type catalogue of the Bothriembryontidae and Odonstostomidae (Mollusca, Gastropoda, Orthalicoidea) in the Natural History Museum, London. – ZooKeys 182: 1-70. This entry was posted in Uncategorized and tagged anostoma, aspastus, bahiensis, biotocus, bonnanius, bothriembryon, callistocharis, clessinia, cyclodontina, eumecostylus, euplacostylus, hyperaulax, moricandia, odontostomus, placocharis, placostylus, plagiodontes, plectostylus, poecilocharis, prestonella, santacharis, spixia, taxonomy, types on April 10, 2012 by bramb.